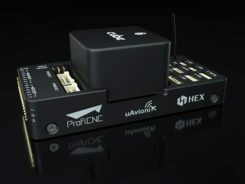 u-blox has introduced its next-generation semiconductor technology dedicated to advanced in-dash navigation, emergency call (including eCall, a European rapid response initiative, and ERA-GLONASS, Russia’s Government Accident Emergency Response System), usage-based insurance, road-pricing, and stolen-vehicle recovery systems. 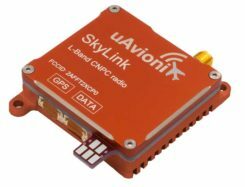 The UBX-M8030-Kx-DR chip integrates 3D Automotive Dead Reckoning (3D ADR) technology, which enables it to calculate a vehicle’s position, speed, and elevation in areas of poor or no satellite visibility, a common scenario in high-density urban environments, stacked highways, or parking garages. Here is a two-minute YouTube video demonstration. The technology aids traditional GNSS navigation systems such as GPS, GLONASS and BeiDou by blending them with individual wheel speed, gyroscope and accelerometer information to maintain accurate 3D positioning even when satellite signals are completely lost. The UBX-M8030-Kx-DR chip is self-calibrating to compensate for sensor aging and temperature effects. It is compatible with virtually all vehicles and drive trains (i.e. front-, rear-, all-wheel drive), and supports a variety of sensor combinations. Sensor information can be derived from the vehicle’s sensors for the most cost-efficient implementation, or from external sensors for after-market solutions. The chip is AEC-Q100 qualified and is produced in ISO/TS Automotive certified production sites. The chip requires minimum host integration or customization resulting in no risk, low cost, and fast time-to-market, u-blox said. Installation is uncritical thanks to automated software calibration. 3D ADR is accurate even at low speeds. The chip allows for easy testing, simple and modular production set-up, and minimal BOM. The chip comes in a 40-pin QFN package measuring only 5 x 5 mm and includes I2C, SPI, UART and USB interfaces.